Elaborate arrangements have been put in place in this regard. Shaykh-ul-Islam Dr Muhammad Tahir-ul-Qadri will deliver his special addresses to the participants of Itikaf City after every Fajr prayer daily till the conclusion of Itikaf on the sighting of the moon. 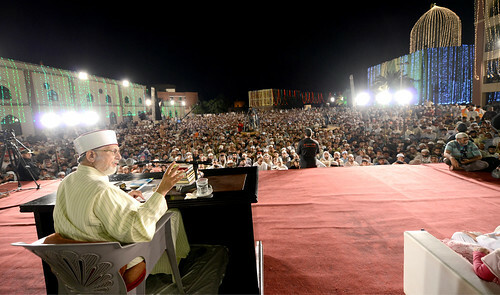 These lectures of Shaykh-ul-Islam will be wide range and will be broadcast live around the world through Minhaj TV. Stringent security arrangements have been made. 2000 workers of Mustafavi Students Movement and Minhaj-ul-Quran Youth League will also perform security duties in addition to the police and other law enforcing agencies. Dr Raheeq Ahmad Abbasi, Secretary General of Minhaj-ul-Quran International, Sheikh Zahid Fayyaz and Jawad Hamid will be available in the Itikaf venue round the clock to supervise the arrangements.